Church is stale or boring. Church doesn’t reflect the current cultural mores or social norms. Church is too religious and not experiential. Sadly, all of these are often true. Church is too boring, it is too religious, it (hopefully) doesn’t reflect the social norms, and it’s attendance is falling at an historic rate; the desire to change that should be applauded. But hold on a minute; before we just hand the reins over to the seeker-friendly proponents, we need to ask what needs to change to promote growth in the church because without knowing what will change we cannot judge the merit of those changes. 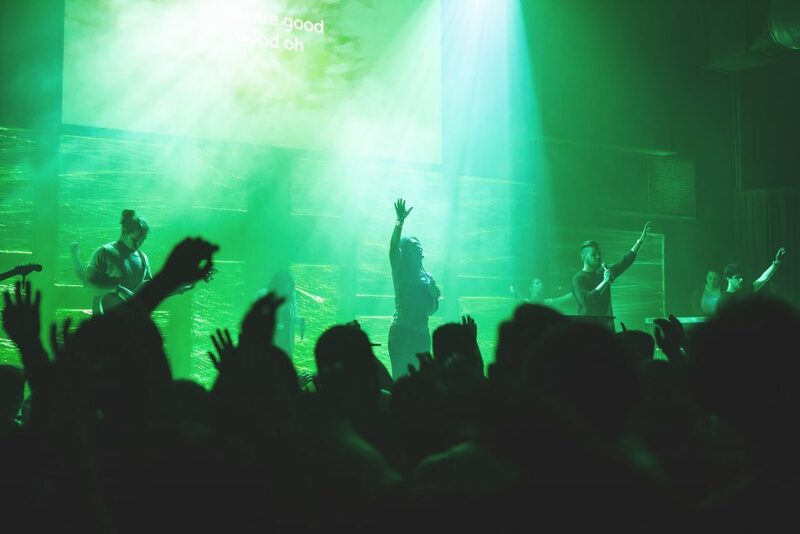 The complaint is that “church is boring,” and because it is boring, pastors believe or were told that the natural and most logical course of action is to make it exciting somehow. In order to accomplish this churches have focused resources on the worship leader and production value. This change has made the worship service more like a concert where congregants are entertained but few join in to worship. To complain that the church doesn’t reflect social norms or cultural mores is an odd objection to be sure, but it is an objection made by some both inside and outside the church. Seeker-friendly pastors in order to acquiesce have changed the orthodox biblical teaching about homosexuality, gay marriage, abortion, divorce, and so on; and they have moved away from calling out sin, have glossed the need for repentance and asking for forgiveness, and have substituted salvation by grace through faith for salvation by some other means. The seeker-friendly church has drifted away from expository teaching of the Bible toward topical sermons, which, while often very entertaining, are filled with anecdotal stories and vapid theology like, “if it matters to you, it matters to Him,” or, “truth is not understood until it is experienced.” These types of sermons do not require and so as a result often contain very few scripture references. In other words, instead of exegesis (the study of the text and interpreted against other parts of Scripture), they apply either eisegesis (the process of interpreting a text or portion of text in such a way that the process introduces one’s own presuppositions, agendas, or biases into and onto the text) or narcigesis (interpreting a passage of Scripture in such a way as to insert the pastor/teacher or the listener into the text). That is to say, they seek to derive their own meaning or agenda for the purpose of personal application or they tell us to insert ourselves into the text rather than seeking God’s meaning—which more often than not point in some way back to Jesus, His character and attributes, and the entirety of the Gospel message. Noah and the ark, Abraham and Isaac, the Exodus, the Wilderness, the fiery furnace, the captivity in Babylon, Jonah and the fish, etc. all point to Jesus and the Gospel. The Bible, though it is for us, is not a book about us but about God. To be clear I am all for church being exciting but to me this is more of a heart issue; in other words, if we are looking at the church as though it is the worship leader’s or pastor’s responsibility to get us excited about God, then frankly God was never that exciting to us and we need to address that rather than blaming our church. As the topic of this writing isn’t an examination of the theology behind the more popular seeker-friendly pastors, I will not delve deeply into the fact that missing from many of the seeker-friendly churches is the gospel message and will only say that this omission is both odd and concerning—especially as we consider that supposedly the whole point of seeker-friendly is to draw in the unsaved seeker. The irony here cannot go unstated, for if the battle over the heart and mind of the unbeliever is paramount, shouldn’t they at least preach Christ crucified and raised again; should we not preach salvation by grace alone through faith alone in Christ alone; and the belief as Ephesians 2:8 says “this is not your own doing; it is the gift of God” rather than works based sanctification or a having positive self image be central to the message. Instead I want to address some questions to those in the seeker-friendly movement which perhaps no one cared to ask—who is church for and what is church for? A church service is not primarily for the lost. Read that again. A church service is not primarily for the lost. Certainly, we welcome the unsaved; we invite them to join us on Sunday morning, but a church service is not primarily for evangelism; that is our job outside the safety of the church walls. This is not to say that because the church is mostly Christians, we don’t preach the gospel message during the service; that would be foolhardy. What I mean to say is that we should preach the Gospel message every time we gather because honestly every passage of the Bible points to Jesus (to be clear, a person cannot simply pick any verse taken out of the context of a passage and then say it can or must point to Jesus), so every message preached should in some way point to Him as an example of His faithfulness, long suffering, love, friendship, discipline, patience, mercy, compassion, etc. By this I mean that an exegesis will reveal the character and attributes of Jesus and the Gospel message. But when we falsely apply either eisegesis or narcigesis we either project our point of view or teaching onto the text of scripture or we claim subjective personal interpretations of a verse or passage which is clearly about someone else. Make no mistake: church is for the saved—the Christian, and to illustrate this let’s look at what the Bible says. 1 Corinthians 14:22-25, Therefore tongues are for a sign, not to those who believe but to unbelievers; but prophesying is not for unbelievers but for those who believe. Therefore if the whole church comes together in one place, and all speak with tongues, and there come in those who are uninformed or unbelievers, will they not say that you are out of your mind? But if all prophesy, and an unbeliever or an uninformed person comes in, he is convinced by all, he is convicted by all. And thus the secrets of his heart are revealed; and so, falling down on his face, he will worship God and report that God is truly among you. Acts 2:42-47, And they devoted themselves to the apostles’ teaching and the fellowship, to the breaking of bread and the prayers. And awe came upon every soul, and many wonders and signs were being done through the apostles. And all who believed were together and had all things in common. And they were selling their possessions and belongings and distributing the proceeds to all, as any had need. And day by day, attending the temple together and breaking bread in their homes, they received their food with glad and generous hearts, praising God and having favor with all the people. And the Lord added to their number day by day those who were being saved. Hebrews 10:24-25, And let us consider how to stir up one another to love and good works, not neglecting to meet together, as is the habit of some, but encouraging one another, and all the more as you see the Day drawing near. Ephesians 4:11-13, And he gave the apostles, the prophets, the evangelists, the shepherds and teachers, to equip the saints for the work of ministry, for building up the body of Christ, until we all attain to the unity of the faith and of the knowledge of the Son of God, to mature manhood, to the measure of the stature of the fullness of Christ. Although we could choose from any number of similar passages, we know of no Scripture which declares that the church is for the lost or is an evangelism tool. I did find scripture which tells us where we should look and where we should go to reach the lost. And these verses would seem to indicate that the lost are in the world—outside of the church doors. Again, the unsaved ought to be welcome and ought to be invited to church; however, the seeker-friendly movement has done great harm to Christians, leaving them ill-equipped, uninformed, and with both a self-centered worldview and ego-centric biblical interpretation. Rather than relying on Jesus in all matters, many are taught the power of positive thinking while completely ignoring the weighty responsibilities associated with the fellowship of the brethren—the church. 2 Timothy 3:16-17, All Scripture is breathed out by God and profitable for teaching, for reproof, for correction, and for training in righteousness, that the man of God may be complete, equipped for every good work. 2 Timothy 4:1-2, I charge you in the presence of God and of Christ Jesus, who is to judge the living and the dead, and by his appearing and his kingdom: preach the word; be ready in season and out of season; reprove, rebuke, and exhort, with complete patience and teaching. When was the last time you saw this taking place in the seeker-friendly church?